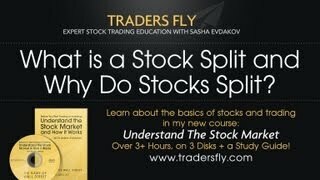 The concept of split is related to the split of the shares of a company. The company increases its number of shares without changing its capital, lowering the purchase price of the shares. The purpose of this operation is to provide greater liquidity to the securities of the company, improve their trading volumes and reduce the value of shares on the market. This operation does not entail any cost to the shareholder, but makes it more attractive because the price is lower and for the investor this is the most affordable value. The decision to carry out this operation is voluntary on the issuing the shares of the company; the company only has to inform to the Shareholders and the National Securities Market Commission (CNMV). Financial Split is related to the different behaviors of the quoted prices in the various stock markets where the shares of the company are located.When the price reaches high values, it may be advisable to split the number of shares outstanding, keeping the total market capitalization, which involves adapting the nominal value of each share, in order to increase the proportion of the shares. An example would be a company that reduces the nominal value of its shares. Now the price is the half of the original one, so the number of shares doubled and halved its individual value; this means that for the shareholder is indifferent having an action that worth 10€ or 2 shares of 5€. 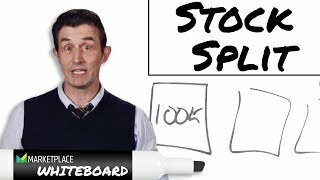 The opposite operation is the grouping of shares or contracts-split. This is the reduction of the number of shares multiplied by the market price in the same proportion of the operation.